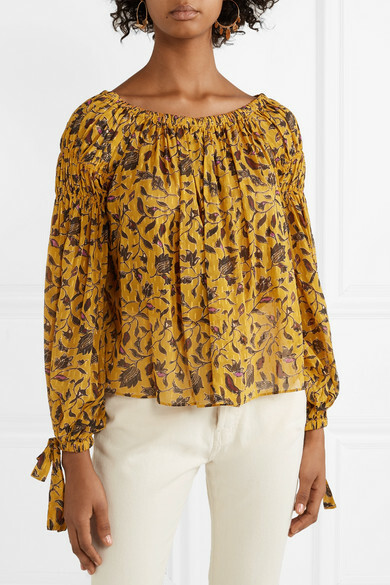 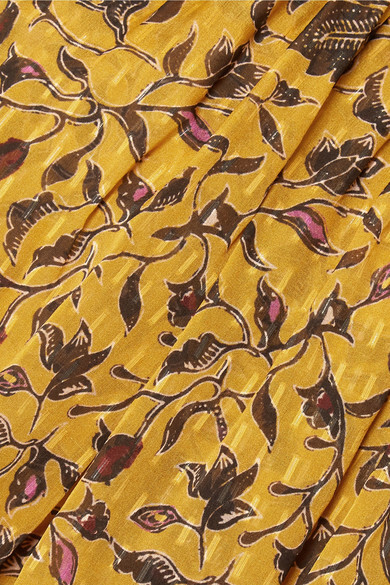 The leafy floral motif on Ulla Johnson's 'Farai' blouse one of the designer's favorite prints this season. 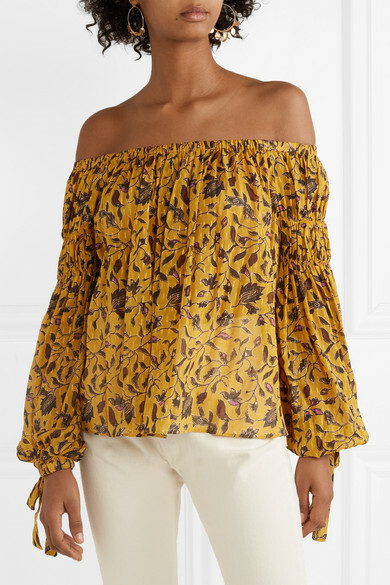 Made from an airy silk, cotton-blend flecked with gold Lurex threads, it has an elasticated off-the-shoulder neckline and blouson sleeves with feminine bows at the cuffs. 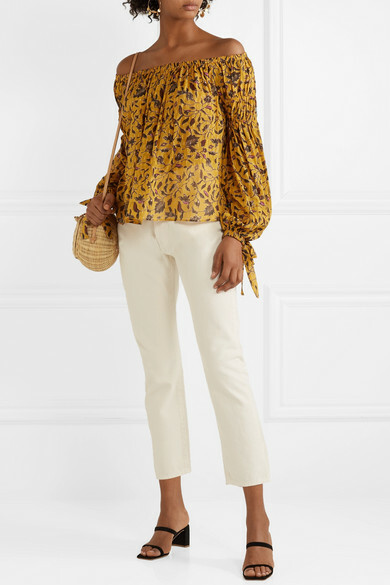 Complement the warm amber shade with white jeans. 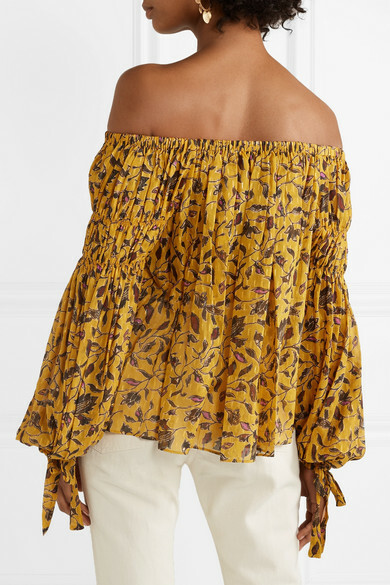 Shown here with: CASASOLA Jeans, Ulla Johnson Shoulder bag, BY FAR Mules.